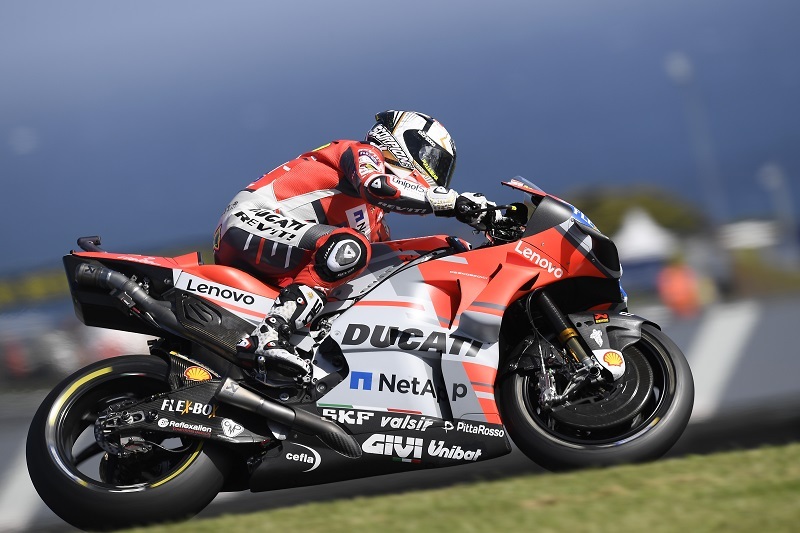 Andrea Dovizioso and Álvaro Bautista will line up for the start of tomorrow’s Australian Grand Prix at Phillip Island, which starts at 4pm local time (06.00 CET), from the third and fourth rows of the grid respectively. This morning the Ducati Team’s Italian rider finished FP3 in tenth, but he was fourth on aggregate thanks to the time he set in yesterday’s FP2 run. It then started to drizzle right at the start of Q2 and all the riders immediately went out on slick tyres to capitalize on the still dry asphalt. The tricky track conditions however did not allow Dovizioso to get any higher than ninth, with a time of 1’30.519, and that means that tomorrow Andrea will start from row 3 alongside Rossi and Petrucci. Álvaro Bautista, whose crash yesterday meant that he had to miss virtually all of FP2, set ninth-quickest time in FP3 this morning, but this was not enough to earn him a place in Q2. In the afternoon the Spanish rider was quickest in Q1 with a time of 1’29.851, but he was unable to repeat this pace in the second qualifying session, and he also crashed out on his fourth flying lap, ending the day in twelfth place.